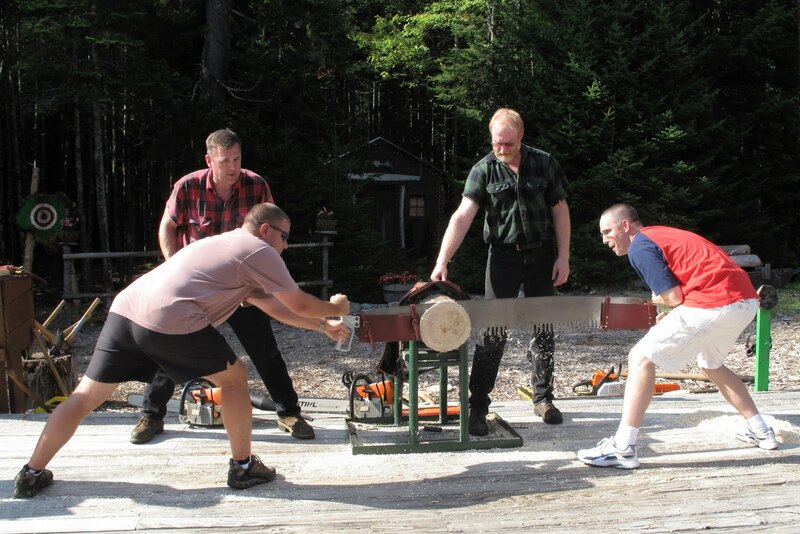 We spent part of our first day in Maine at a lumberjack show. Appropriate, huh? The Great Maine Lumberjack Show is in the small town of Trenton, ME, which is between where we were staying in Ellsworth and Bar Harbor, where we went often. 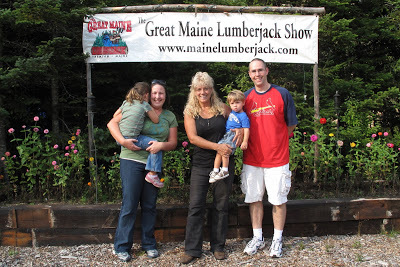 When we got there, Greg and I noticed the news clippings hanging up about Timber Tina, who owns and operates the show. Turns out she was on Survivor: Panama, briefly. She was the first one voted out of the season. 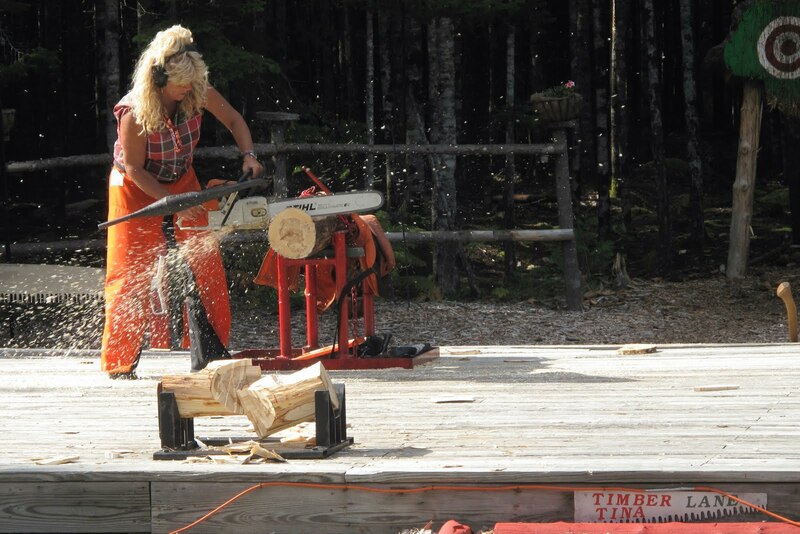 I mostly remember her job description as a “lumberjill,” which is clearly her occupation. 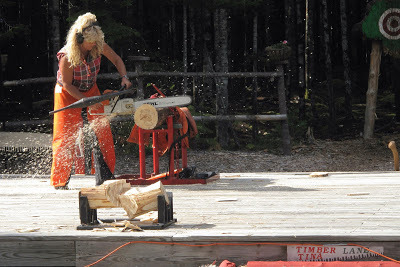 During the show, Tina and three lumberjacks competed in various sawing and logging activities. The audience was split down the middle and each side cheered for a two-person team. Cate will tell you we cheered for the green team because she, me and the lady next to us were wearing green. 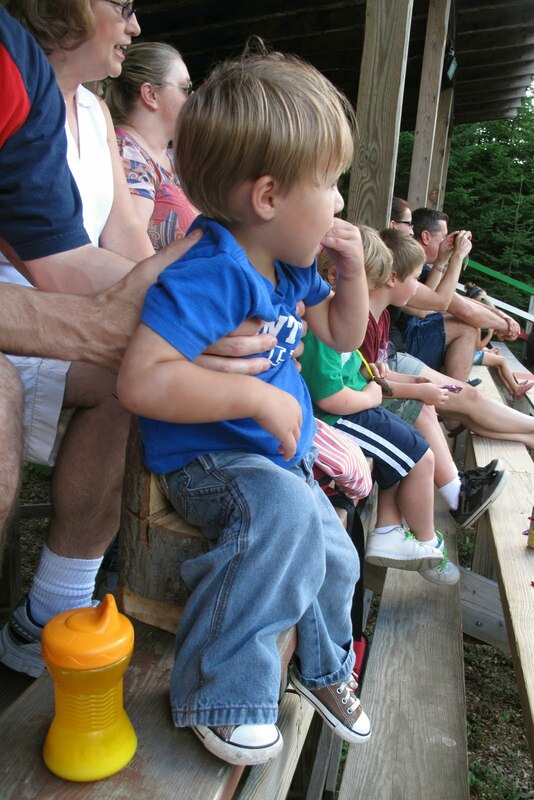 Really, it’s because we were sitting on the right half of the bleachers. Even so, the competition and banter that accompanied added to the show. 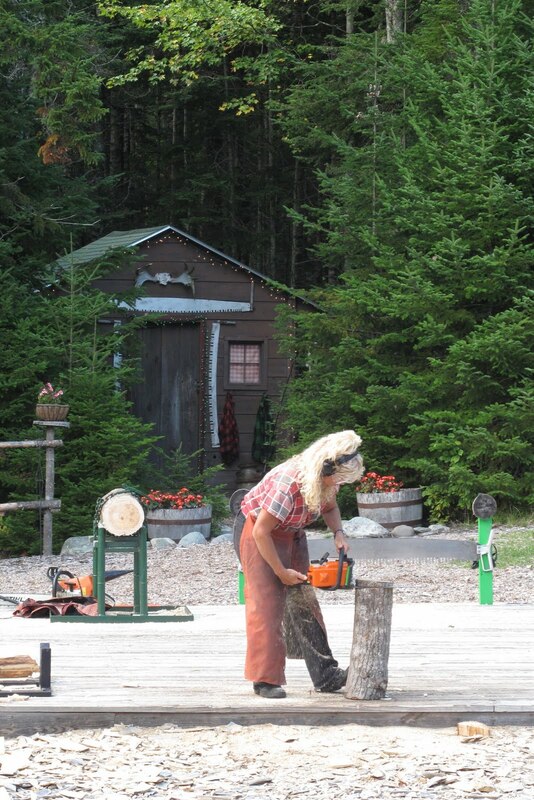 She made that log into a rabbit and then a chair, which she gave to Ben. He really likes his chair. 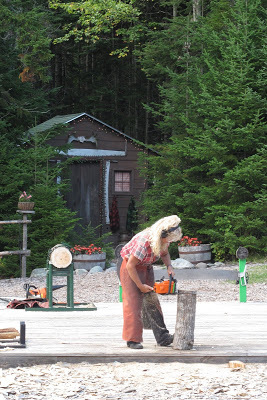 And even though we had no idea what to expect going in, we loved the entertaining lumberjack show. It was definitely a fun introduction to Maine.